Indeed the Hispanic and Latino voter must give the Republican party serious consideration. The Republican platform of U.S. Senate candidate from California, is pro jobs, pro business, and lower taxes. Diane Feinstein, on the other hand rejects her fresh ideas and clings to the policies of class war fare, racism, raising taxes and empty broken promises. Hispanics and Latinos voters will play a decisive role in elections at all levels in 2012. They represent a rapidly growing share of the electorate that will have a major influence on future elections as well. This has implications for both major political parties. There has never been a more opportune time for them to look to the policies of the Republican Party that are pro growth, business and job creating, while policies of the current U.S. from CA have continually worsened their plight. The Republican choice is Elizabeth Emken a proven fiscal conservator, thus a job and wealth creator in contrast with Senator a job and business destroyer. This is largely at the result of misinformation, generated from the White House and Media that refusing to tell the truth about the AZ law which is less strict than the federal law. When making their decision to vote whether by party or the individual both Latinos and Hispanics must not forget that if the current administration had any real interest in an immigration policy they controlled both houses of congress and President Obama held the pen. Despite claims and blames to the contrary, Republicans respect this population, their work ethic, and their economic contribution to the U.S. Economy. In states such as California and Nevada, the demographic effects of the Hispanic and Latino vote can impact the results dramatically. In these states, both political parties will be competing for their votes using the issues that are important to these voters. Illegal immigration is high among those issues. According to a Fox News Opinion Dynamic poll, 66 percent of Hispanics and Latinos consider discrimination a major problem. They support a path to citizenship for illegal immigrants as long as they pass a background check, pay a fine, and have jobs. 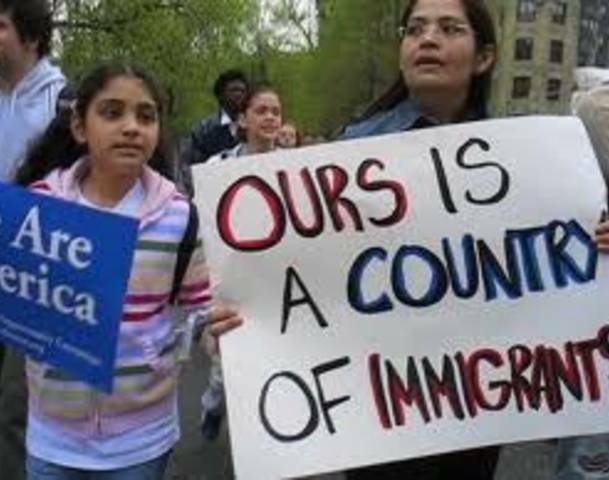 Less than 20 percent support the strict immigration laws that were passed in Arizona and other states. All demographic have found themselves in the unemployment lines but the Latinos and Hispanics disproportionately so. The current recession is having an especially severe impact on employment prospects for immigrant Hispanics, according to an analysis of the latest Census Bureau data by the Pew Hispanic Center, a project of the Pew Research Center. Among immigrant Latinos, the share of the working-age population (16 and older) that is employed fell by 2.8 percentage points, from 67.5% in the fourth quarter of 2007 to 64.7% in the fourth quarter of 2008. Among all persons of working age, the employment rate decreased by 1.6 percentage points, from 63.2% to 61.6%, in the first year of the recession. Latinos and Hispanics in particular have turned to part-time employment in astonishing numbers. The number of part-time Hispanic workers grew by 16.5 percent annually since the start of the recession—the share of Hispanic workforce working part-time went from 12.7 percent to 17.2 percent over the course of just two years. An examination of median household incomes between Hispanics ‘was $37,913. While their White Americans counterparts had a median income of $55,530 during the current recession.